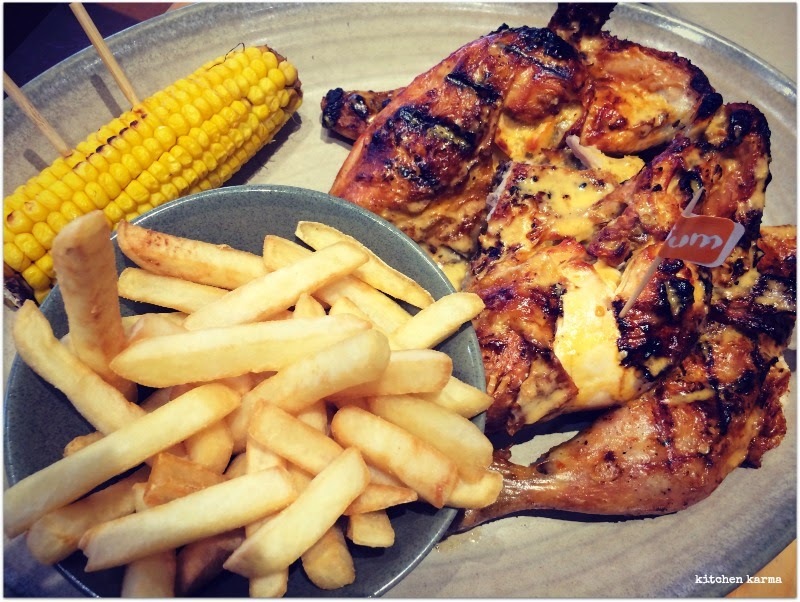 Peri Peri Chicken with chips & grilled corn on the cob. This Portuguese dish is a favourite of ours. You can make the peri peri sauce in which the chicken is grilled as spicy as you want! Se ve muy rico su pollo asado me encanta asì de dorado,abrazos y buen año 2014. Happy New Year to you. The peri peri chicken looks simply amazingly delicious and mouthwatering.